Medina, also known as Madinah, is a city located in the western part of Saudi Arabia, and it is one of the most important pilgrimage for the Muslims. The term “medina” refers to “the city”. Before the influence of the Islam, the city of Medina was known as Yathrib. The city is covered with green domes, which look eye catching. It was earlier known as the main destination of the Muhammad and is considered the main centre of Islam. Medina has three well-known oldest mosques. Medina has close resemblance to Mecca and do not allow the entry of anybody who is a non-Muslim. 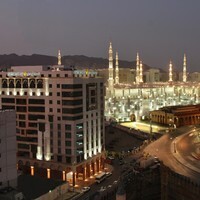 After Mecca, Medina is considered to be the holiest place in the world. The city is home for historic places, old lanes and beautiful architecture. : Before you visit any place, the first important thing to consider is the climate of that place. During the months of summer, the rates of hotels in Medina are reasonably lesser. The rates during the weekends are more than week days. 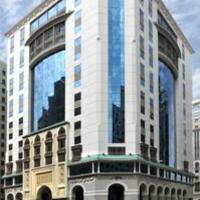 Cleartrip provides you a wide choice of hotels to choose from. Booking hotels through Cleartrip comes with loads of benefits; you don’t have to pay extra for the rooms. 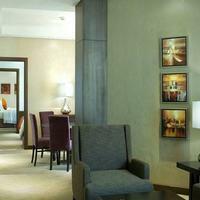 : People should book hotels which are accessible to nearby locations. It should have easier transportation facilities. You must be able to travel to nearby locations in lesser time. The places should not be far away from the main city location. Apart from hotels, there are resorts, cottages and apartments too in Medina. With Cleartrip, you can book the most affordable hotels in the easiest way possible. 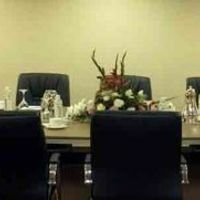 : The choice of hotels in Mediah is vast, and you can easily get a hotel that suits your budget. The hotels range from two-star to 5 star hotels. 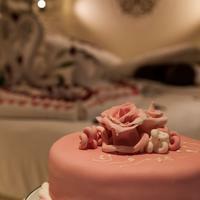 The hotels provide basic and luxurious facilities based on the type of hotel and room you choose. Another hotel booking tip is that if you book your hotels and flights together, it will save a lot of money as websites like Cleartrip offers you combo packages. 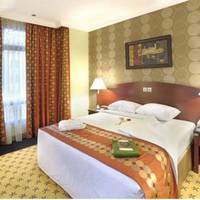 : It is wise to read reviews of hotels in Medina before booking. 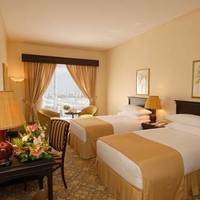 Most hotels have reviews on online travel sites like Cleartrip to give tourists a clear idea about the kind of services and facilities they offer. 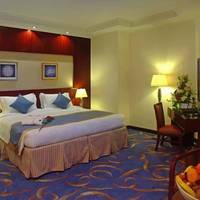 Thus, do check the user reviews as they are very useful in helping you book a good hotel. 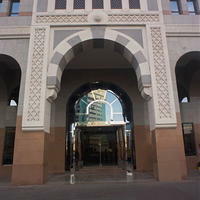 Nusk Al Madinah hotel in medina has nice interiors and services. The famous Prophet’s Mosque is just 150 metres away from here. 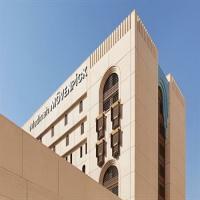 Al Mukhtara International hotel is situated near Masjid Al Nawabi. 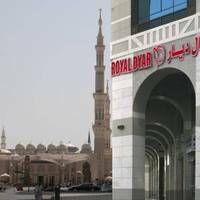 This hotel is just five minutes away from the masjid. 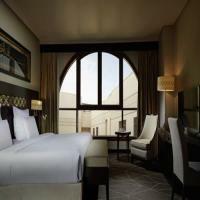 Mada in Saleh is a nice locality which has some of the best hotels in Medinah. Quba Mosque is a peaceful place and has many hotels. 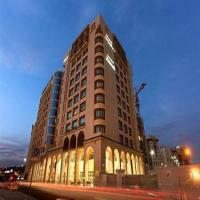 If you’re a peace lover, book a hotel near Quba mosque. 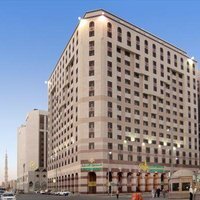 Other famous localities for booking hotels in Medina are Al Aridh, AL Fath, Ad Dhahirah, Ad Difa, Mount uhud, Hejaz railway museum, Mada’inSaleh, etc. By Plane: The easiest way to reach the city of medina is to board a flight. A number of direct flights from cities like Cairo, Dubai, Doha, Kuwait City, and Istanbul land at the Medina’s airport, which is Prince Mohammed bin Abdul-Aziz Airport. This airport is not very big thus it gets quite crowded at the baggage counter. From the city centre, the airport is located at a distance of 16 km. By Bus: Saudi Arabian Public Transport Company is a bus service well-known for availability of buses and luxurious comfort. 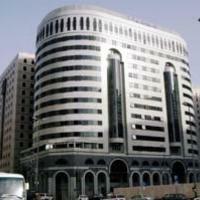 They provide services from different parts of the country, such as Jeddah (330km), Mecca (339km), and Ta’if (347km). If you’re travelling in large groups then you can avail private bus services. By taxi: If you’re travelling to local tourist spots, there is no other option better than a local taxi. 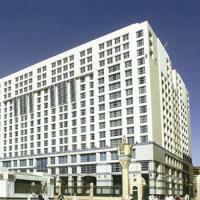 In Media, a wide range of hotels are available in the category of budget hotels, 3-star, 5-star, 7-star and more. The price ranges from SAR 63 to SAR 1320. 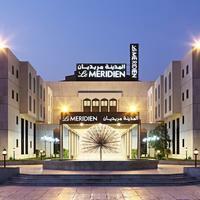 When you book at Cleartrip, you can surely get great Medina hotel deals. Must visit dining places in medina? Masjid Al Nawabi, the famous mosque of the prophet is a must visit for everyone who is travelling to Medina. Masjid-e-Quba and the three famous graves of the prophet, Abu Bakr and Umar attract maximum tourists’ attention. The battle of uhud where the prophet lost his tooth making the location of Mount Uhud a popular tourist site. Visit the al-Madina museum which has a wide collection of old monuments conserving the Islamic culture. It promotes the historical culture of Medina. The city is a cultural heritage point and consists of ancient places. : People here are welcoming, friendly and conservative too. You can find a lot of Pakistanis, Indians and Bangladeshis here. Women cover themselves a lot here. For entertainment, people indulge in traditional things like pipe smoking, camel racing, participating in mosque events, and storytelling, etc. Arabic is the national language of UAE, and the people in Medina prefer their national language over any other. There are various inscription and scripts engraved on the walls of the stations of Medina. 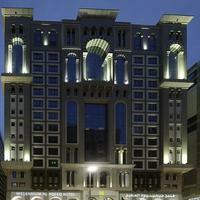 For shopping, one can visit Al Noor Mall, Rashed Mall, and Taiba Commercial Center. Old Bazaar flea market is a must visit and Madinah Dates is a farmers market. Mecca is definitely the most popular tourist destination close to Medina. It is located at a distance of 450 km. Jannatul Baqi is an old graveyard in shape of a colossal adds an extra point to the culture of Medina. It is 16km from the city. Wadi e Jinn – Al Baida is a beautiful valley located at a distance of 40km from Medina. Masjid Qiblatayen holds the mosque of two famous Qiblah. It has an unusual historical background. The building architecture creates a moment of admiration. Visit the place during the sunset time to get lost in its scenic beauty. Medina falls under the hot desert climate range. Here they face extremes of climatic conditions where during summers; the temperature ranges as high as 43 degree Celsius during the day. During the night time, the temperature falls back to 29 degree Celsius. During the month between June and September, the temperature can strike up to 45 degree Celsius during the day. Winters are chilling when the temperature varies between 12 degree Celsius during night time and 25 degree Celsius during the day. Medina receives very less rainfall which you witness between the months of November and May. Medina falls in the desert region of the world. The months from March till May are very hot and dry thus fewer tourists are seen. In these months, Medina experience mild weather with less to negligible rainfall. As rainfall is less, tourist rush is experienced between October to May. 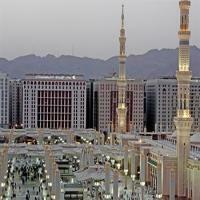 It is the best suitable time to visit the city of Medina. The weather is cool and pleasant during this season. Medina has various street festivals occurring all around the year. The Medina ice festival showcases various sculptures and models made out of carving ice. Medina Farmers Market festivals are popular. Medina’s rich soil condition gives a thrust to all agriculturist and farmers to grow different types of crops. Farmers and agriculturists take part in these farmer market festivals to sell their best crops to the tourist and localities. Must rules are that the vendors and farmers taking part must be the localities. This festival is famous for its home grown vegetables and fruits. Medina Soccer tournament is a unique event in a city. Here in the soccer tournament people belonging to all age groups take part and enjoy till their heart’s content.